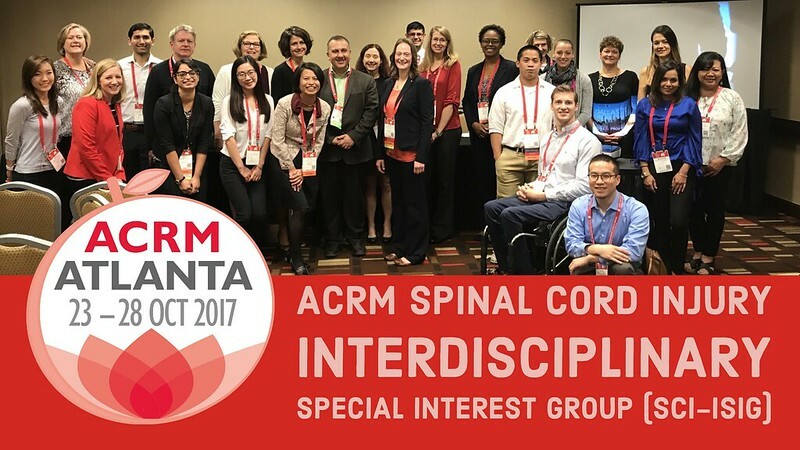 The Spinal Cord Injury Interdisciplinary Special Interest Group (SCI-ISIG) is a community of interdisciplinary professionals who work to enhance educational and networking opportunities for ACRM members interested in SCI, and to advance clinical practice to improve the lives of people with SCI. 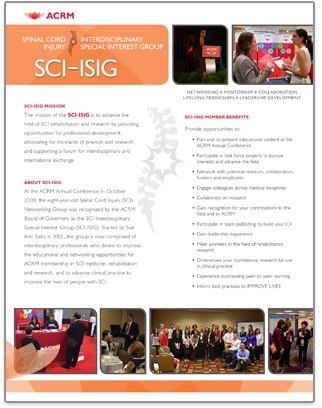 Become involved in an SCI-ISIG task force by contacting the task force chair. 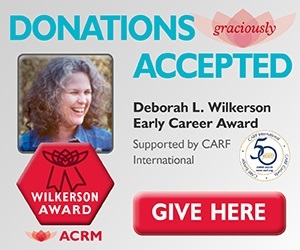 The opportunity to participate in more than 20 specialized ACRM community groups, including interdisciplinary special interest groups (ISIG), networking groups and forming groups, is one of the most valuable benefits of ACRM membership. The Guide describes ACRM products, e.g., fact sheets, journal articles, manuals, and the procedure used by ACRM groups and committees to develop them. Includes a Product Development Worksheet and a Product Review Request Form. 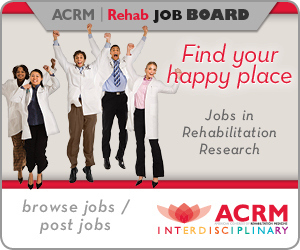 Bylaws for the SCI-ISIG may be found in the ACRM Policies & Procedures Manual. To review the manual, please login to the Member Portal. In the left navigation, select “Members ONLY Access” and click the hyperlink for the Policies & Procedures Manual.